Lululiz in Lalaland: Spending the days doing what? Spending the days doing what? 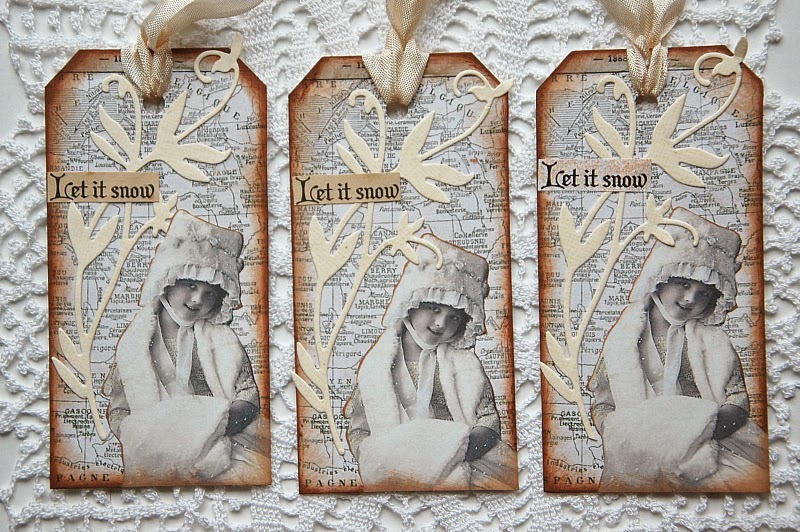 I do enjoy making tags :-). 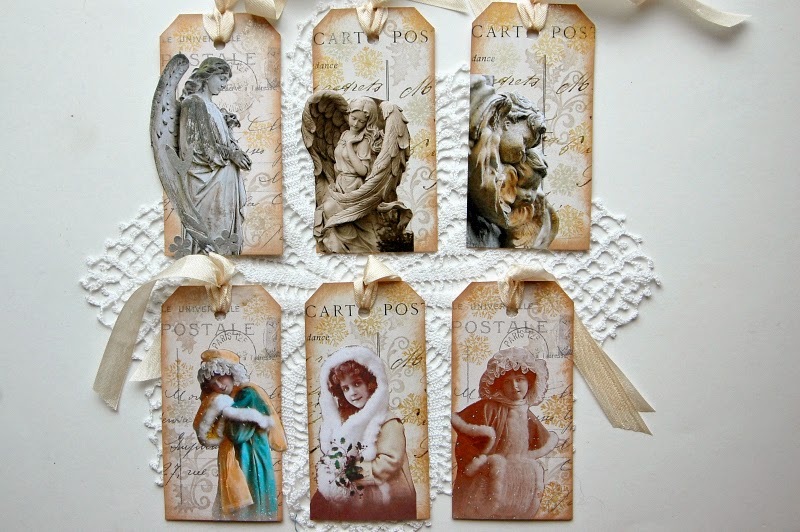 Wonderful and truly stunning tags Liz,where do you get your angel images from? They always look so serene and beautiful,they really are the best ones I've ever seen. I am loving your tags. 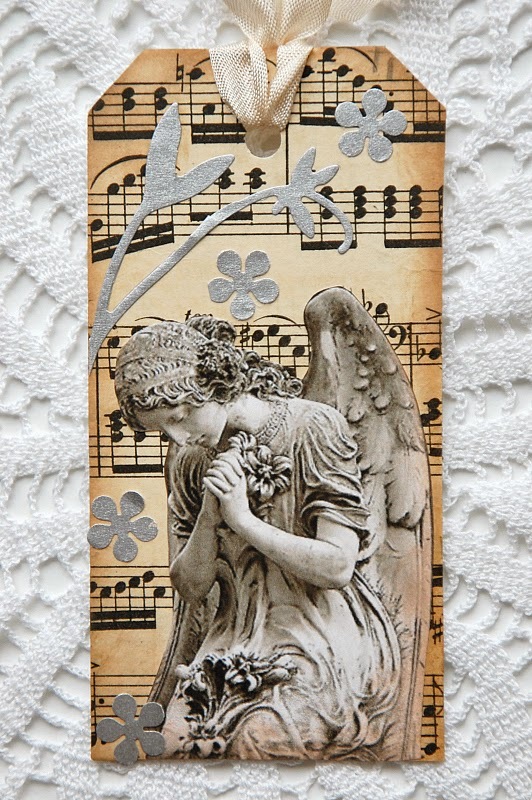 I was on Pinterest the other day and saw LOTS of your tags...you are so creative! These images of statues are so beautiful, the way you have presented them...inspirational! Yes you are the Queen of Tag making Liz. 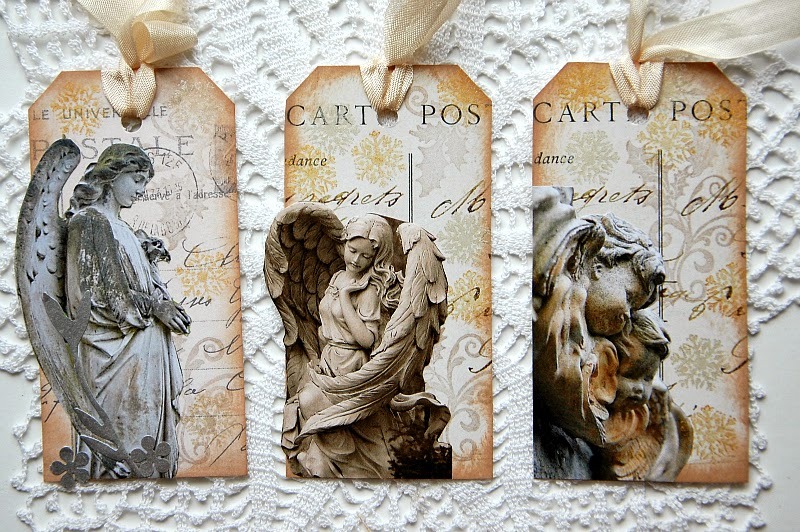 Each one is gorgeous but as you would know I am so partial to the serene stone angels. Oh my these are stunning! And a cheer for each of the 5 little oil cans in your Etsy - love these little collectables too! Now back to listing more!!!! Oh, you have created so much sweetness here, my dear Liz, I love the beautiful snowflake stamped backgrounds, for the lovely images, and the : Let it snow,- is adorable with the diecut branch and that cute image,- I wonder if her ears did not freeze off, in that bonnet ,lol. 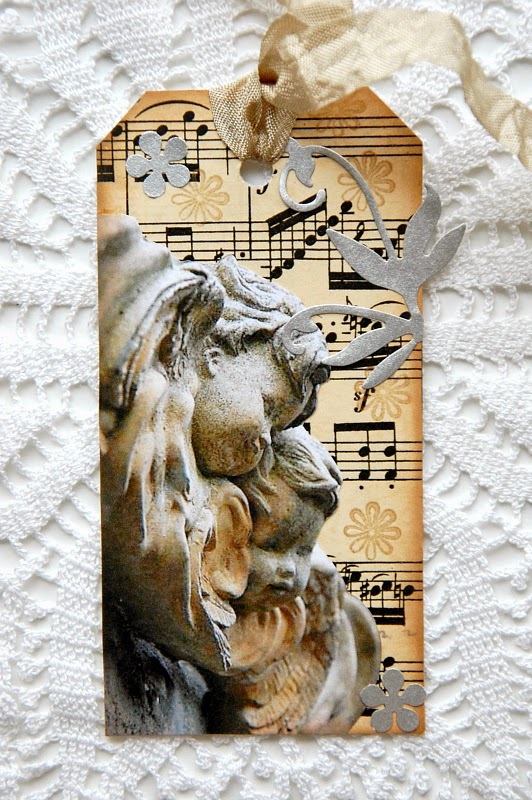 Wonderful stone angels ,too on your sepiacoloured music papers ! What a great idea - create inside where it is warm and comfortable and watch the dark weather go by the window. Your tags are beautiful, as always. I'm glad your Etsy shop is so busy. You always have fantastic items for sale. 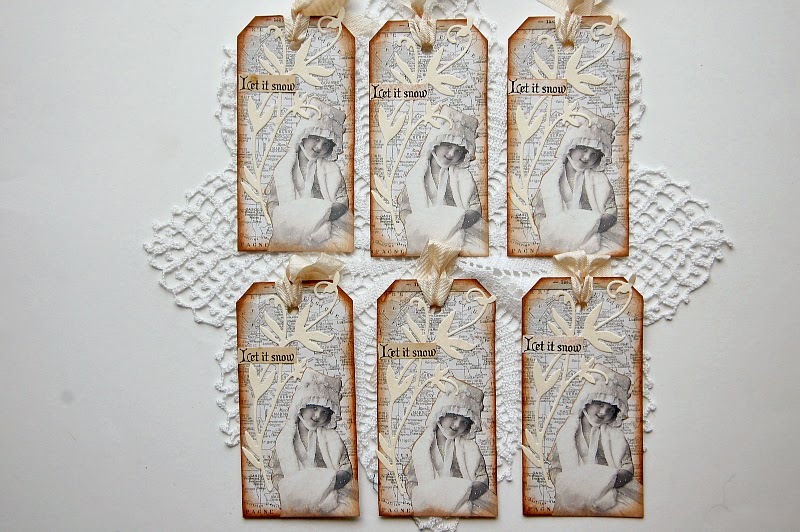 Your tags are stunning Liz, I love the neutral colors and the lovely images. Your tags are simply beautiful, dear Liz. Have a lovely day. Liz, you are the QUEEN of tags my friend. These are so beautiful. You are so talented, Liz! 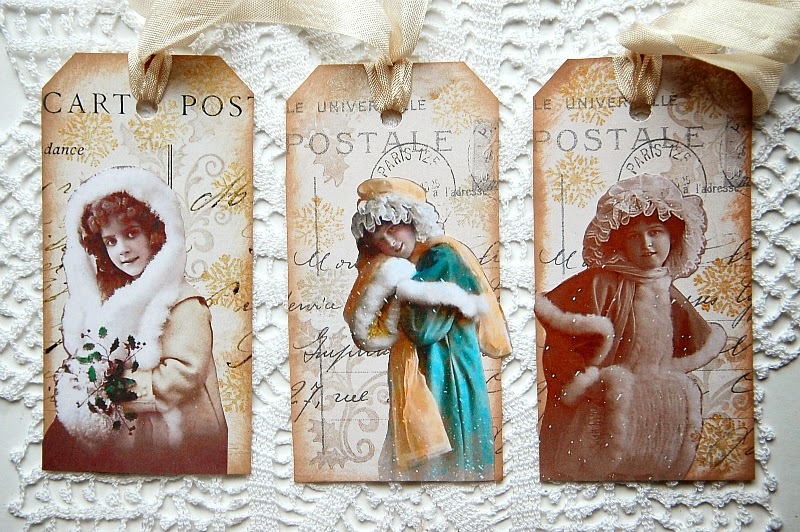 The tags are all beautiful.I adore the ones with the winter themes. They are gorgeous!